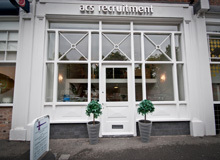 ACS are recruiting for a NQ Solicitor for a firm in Warrington. We are currently recruiting for a Litigator for the Housing department of a law firm in Manchester. ACS are looking for a Clinical Negligence Lawyer on behalf of our client for their Liverpool based firm of solicitors. ACS are recruiting for a Defendant Legal Administrator on behalf of our client in Warrington. A single centrally set examination will form the gateway to the solicitors' profession under plans announced by the Solicitors Regulation Authority this morning. The regulator is expected to announce that it is pressing ahead with the Solicitors Qualifying Examination. ACS are currently recruiting for a Private Client Senior Associate for a Manchester firm. Many people don't know that a simple lie on your CV can have massive repercussions on your career. We are currently recruiting for a Cost Negotiator to join the Portal Cost team of our clients Liverpool based firm. Our client is currently looking for an MOJ Portal Paralegal Assistant to join their Cheshire based firm. What do your GCSE results mean for you? Accountants are closing the pay gap on lawyers as the growing use of paralegals and oversupply depress salaries in the legal sector, latest research suggests. Average earnings for recent law graduates continue to languish below those of their peers, official statistics show. Employment Law - time to weigh up the impact. Important changes to employment law are coming into force throughout 2016. We take a look at what to expect. It feels like only yesterday we were asking for your Christmas time sheets, not its time for Easter. We do have to have your time sheets in no later by 4pm Thursday 24th March, ‪For you to be paid on the Thursday 31st March.